"Are We Seeing the Emergence of a New Anti-Islamist Intelligentsia?" That was the question that Michael Gove sought to answer at an event yesterday evening, organised by Peter Whittle and the New Culture Forum. During the evening he also disputed the idea that the Middle East Peace Process would lead to a reduction in Islamist violence. He said that so many Islamists hated Israel that they would not cease until they had eliminated the whole nation. He defended David Cameron against a suggestion that the Tory leadership was insufficiently concerned about Islamism and pointed to the Tory leader's recent call for Hizb ut-Tahrir to be banned. The focus of Michael Gove's speech was the emergence of a few significant left-wing cultural and journalistic leaders and their willingness to stand against the moral relativism and anti-Americanism of the mainstream of the political left. "Why is it that apologies for a militant Islam which stands for everything the liberal left is against come from the liberal left? Why will students hear a leftish postmodern theorist defend the exploitation of women in traditional cultures but not a crusty conservative don? After the American and British wars in Bosnia and Kosovo against Slobodan Milosevic's ethnic cleansers, why were men and women of the left denying the existence of Serb concentration camps? As important, why did a European Union that daily announces its commitment to the liberal principles of human rights and international law do nothing as crimes against humanity took place just over its borders? Why is Palestine a cause for the liberal left, but not China, Sudan, Zimbabwe, the Congo or North Korea? Why, even in the case of Palestine, can't those who say they support the Palestinian cause tell you what type of Palestine they would like to see? After the 9/11 attacks on New York and Washington why were you as likely to read that a sinister conspiracy of Jews controlled American or British foreign policy in a superior literary journal as in a neo-Nazi hate sheet? And why after the 7/7 attacks on London did leftish rather than right-wing newspapers run pieces excusing suicide bombers who were inspired by a psychopathic theology from the ultra-right? In short, why is the world upside down? In the past conservatives made excuses for fascism because they mistakenly saw it as a continuation of their democratic rightwing ideas. Now, overwhelmingly and every where, liberals and leftists are far more likely than conservatives to excuse fascistic governments and movements, with the exception of their native far-right parties." "The most depressing thing was the sight of middle-class white demonstrators, last August, waddling around under placards saying, We Are All Hizbollah Now. Well, make the most of being Hizbollah while you can. As its leader, Hasan Nasrallah, famously advised the West: "We don't want anything from you. We just want to eliminate you." Similarly, when I went on Question Time the other week, a woman in the audience, her voice quavering with self-righteousness, presented the following argument: since it was America that supported Osama bin Laden when he was fighting the Russians, the US armed forces, in response to September 11, "should be dropping bombs on themselves!" And the audience applauded. It is quite an achievement. People of liberal sympathies, stupefied by relativism, have become the apologists for a creedal wave that is racist, misogynist, homophobic, imperialist, and genocidal. To put it another way, they are up the arse of those that want them dead." Michael Gove welcomed the Euston manifesto and the fact that it had been signed by a number of Labour MPs including Greg Pope and Gisela Stuart. He also paid tribute to Gordon Brown's recent statement that we needed the same intellectual war against Islamism that characterised our efforts against communism in the Cold War. Finally, in another Cold War parallel, he urged western governments to champion the human rights of moderate Muslims who stand up against the human rights records of their governments and against preachers of hate. 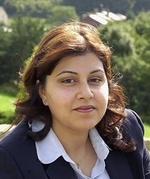 One of the most important contributions in the debate period of the evening came from Tory A-lister Sayeeda Varsi. She made the simple but vital point that 'Islamist' may be an intellectually accurate way of describing the ideological misinterpretation of Islam by the extremists and terrorists but on many practical levels it was a confusing term. Most people she said would not understand the difference between Islam and Islamist and assume that quite proper attacks on Islamism were attacks on Islam itself. Michael Gove said he understood the concern, that he respected the faith of Muslims but did not have a solution to this naming issue. I've stopped reading Michael Gove's Times column since he became a Conservative MP and for, I guess, contractural reasons he stopped addressing political and foreign policy issues. Last night was a timely reminder of this Conservative MP's intellectual skills. He is a major star in the making who deserves to be a leading light in the next Conservative Cabinet. I was at yesterday's event, Michael Gove was as erudite and persuasive as ever and dealt very well with incredibly detailed comments and questions. And Michael Gove's policy on the continuing inflow of Muslims into the UK is? I think you will find that the Henry Jackson society view is that these Muslims need leadership from a group of Michael Goves and that immigration may be allowed to continue to build up the Muslim base. "Why is Palestine a cause for the liberal left"
Because, often as not, people define themselves by what they're not, rather than by what they are. Conservatives are seen to back Israel. Therefore, if you're not Conservative you back the other side. I think it really is as pathetic as that. In the January Transfer Window, I would have Gove take the Foreign Affairs brief from Hague, switch Hague to shadow Chancellor, and try to find something for Osborne to do which would allow him some freedom of expresion; the poor chap is hamstrung by CCHQ on broad taxation policy and reduced to wittering on about stamp duty on shares. is particularly interesting. He is broadly approving of Mark Steyn's new book, which is a gripping read, though Steyn does look to have been wrong-footed by Martin Amis, whose eloquent anger is being aimed at a highly relevant target, for a change. This is a good line from Peter Tatchell too. We are witnessing one of the greatest betrayals by the left since so-called left-wingers backed the Hitler-Stalin pact and opposed the war against Nazi fascism. Today, the pseudo-left reveals its shameless hypocrisy and its wholesale abandonment of humanitarian values. While it deplores the 7/7 terrorist attack on London, only last year it welcomed to the UK the Muslim cleric, Yusuf al-Qaradawi, who endorses the suicide bombing of innocent civilians. These same right-wing leftists back the so-called 'resistance' in Iraq. This 'resistance' uses terrorism against civilians as its modus operandi - stooping to the massacre of dozens of Iraqi children in order kill a few US soldiers. Terrorism is not socialism; it is the tactic of fascism. But much of the left doesn't care. Never mind what the Iraqi people want, it wants the US and UK out of Iraq at any price, including the abandonment of Iraqi socialists, trade unionists, democrats and feminists. If the fake left gets its way, the ex-Baathists and Islamic fundamentalists could easily seize power, leading to Iranian-style clerical fascism and a bloodbath. I used to be proud to call myself a leftist. Now I feel shame. Much of the left no longer stands for the values of universal human rights and international socialism. I attended Gove's talk. I was fairly impressed; and I did get the impression that if Gove is representative of British neoconservatism, it is at least more thoughtful and reality-based than the US variety. However I take Anthony Scholefield's point above - Gove certainly didn't say anything about immigration; the neoconservative view, which appears to be Conservative party policy, seems to be that because all people are essentially the same and 'cherish freedom', immigrants are potentially infinitely assimilable and there is no reason to prevent immigration of anyone except a tiny number of 'extremists'. While it would be nice if this were true, the evidence seems to be that it isn't. I think this relates to the point Sayeeda Varsi made, that any attempt to defend against Islamist expansionism is perceived as "attacks on Islam itself". I don't believe there is a solution to this; ultimately if we do not want an Islamised Britain, then in some ways Islam has to be restricted. If that is a price too high to pay, then so be it. Tremendous article. I agree with Sayeeda on the confusing use of "Islamism" - and that an alternative is needed as a matter of some urgency. Incidentally Nick Cohen was making some encouraging noises in the Evening Standard last week about tax and the cost of living under Labour. If only Cameron had left Fox at Foreign Affairs and put Gove there with him. I can see that, for MG's career development, developing expertise on domestic issues might be important, but that pairing would have put grit into our policy right from the start. Personally, I don't see what's wrong with "Islamist" as a term, but I take the point. "Jihadist" is just as good, but I gather there is some dispute as to whether this covers aspects of personal moral struggle (in the same way that not every "crusade" involves invading the Holy Land). We're trying to describe people who see the West as an enemy to be opposed and actively destroyed, apparently on the basis that it represents the House Of War or Dar al-Harb. Why not call them Harbarians? A persuasive argument as is Nick Cohens. Hopefully we will now start to see a more intelligent attack on militant Islamism from both the left and the right in this country than we've seen to date. Whilst I applaud Michaels work on this I do hope that he will have more to say on Conservative housing policy which is after all the area he is responsible for. Oh BTW I agree with Michael Gove that of the available terminology, "Islamism" is the best fit. And I reject the notion that you're not a real Muslim just because some Salafist preacher says so. So a few lefties are troubled by the fact that their brethren are making common cause with the islamists -- in what way is that worse than the long history of liberal left excuses for Lenin, Stalin, Mao and various other scumbags? 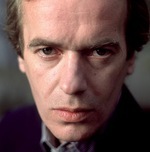 Michael Gove quotes Martin Amis as saying, "To put it another way, they are up the arse of those that want them dead." Churchill famously expressed the same sentiment in a more eloquent way when talking about Hitler's appeasers by saying, "Each one hopes that if he feeds the crocodile enough, the crocodile will eat him last." There are many parallels today with the 1930's, let's hope that politicians have the wisdom to enable a better outcome than then. Michael Gove gives a good speech and is persuasive. One also has to give these lefties a spark of brain power. The Islamic radicals and fundamentalists are quite clear in their speeches, a))if you are not a muslim, then you are a target and fair game. b))It is the aim of all muslims to seek the return of the caliphate and to convert the whole world to the one true faith. c)) those that will not convert are to be eliminated by any means. Even the most rabid of Trots will recognise the finality of those words and speeches and the intent shown from 7/7 and 21/7 to New York's 9/11 and the spiral of civil war extant in Iraq. Only a leftie hell bent on a suicide mission to achieve his fleeting socialist nirvana would ignore such a message; but then again the leftie would probably feel that he was in a good position to lead, as only he would know the true faith and true path. Arrogant perhaps, but par for the course. Soupy Twist, nobody is saying it is any worse, the point is, it is JUST AS BAD. The wishy washy left's vague support for left wing and Islamist dicators and Stalin and Mao and so on is, to be frank, disgusting and always has been. That is a statement of stunning superficiality even by your standards Valedictoryan. The pro-Islamic left of today are simply following the same long Western tradition of opposition to "colonialism" and "capitalism" which allowed self-styled liberals to idolise Stalin while (rightly) execrating Hitler. Last night's TV dramatisation of the Klaus Fuchs affair showed just how far these crazy people were and are prepared to go. Now militant Islam has replaced Soviet Communism as the supposed champion of the rights of oppressed peoples. At the same time we have reached a stage in the development of Western political culture where an increasing number of non-leftists are either detached from it, or actually hold it in contempt. The left therefore receive passive encouragement from the increasingly politically inactive Joe Public and also from the alienated rightwing element known in the USA as Paleoconservatives. There's nothing new about any of the names mentioned by Gove. Hitchens was trumpeting the virtues of "Regime Change" long before the disastrous Iraq War. Others are Jews, no doubt critical of Israel's hardline reputation, but still in the final analysis prepared to back Israel against the continuing threat of annihilation by Islamic fanaticism. Nothing fresh about that. Many of the original US Neo-Conservatives were Jewish former left-Democrats motivated by exactly the same understandable concerns. As a homosexual would-be "martyr", Tatchell obviously has his own agenda. So. I conclude that Gove's story is a non-story. The vast bulk of the intellectual and non-intellectual left will continue to support hardline Islamicists until the liberalism of which both they and Mr Gove and friends form disparate elements collapses under the weight of its own contradictions and a tidal wave of bloodshed. I have written up a report on Michael's speech based on notes taken last night. 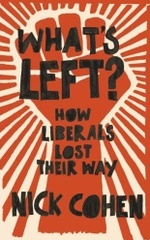 "The left therefore receive passive encouragement from the increasingly politically inactive Joe Public and also from the alienated rightwing element known in the USA as Paleoconservatives." That lot disagree a lot (especially over religion & evolution) but I see far more thoughtful engagement with real problems & solutions there than in mainstream conservatism. Certainly some Paleocons can be so pessimistic they induce lethargy rather than action (possibly Peter Hitchens), but overall I think we should be paying them a lot more attention than is currently the case. "Certainly some Paleocons can be so pessimistic they induce lethargy rather than action (possibly Peter Hitchens)"
Although Hitchens doesn't hold a candle to Mark Steyn when it comes to actual pessismism, it's just that Steyn writes jauntily about the annihilation of our civilisation with what looks rather like relish, whereas the Paleocons think it would rather be a Bad Thing, and aren't much for joking about it. "The vast bulk of the intellectual and non-intellectual left will continue to support hardline Islamicists until the liberalism of which both they and Mr Gove and friends form disparate elements collapses under the weight of its own contradictions and a tidal wave of bloodshed." I agree, but I was referring purely and specifically to attitudes towards the so-called "War on Terror"
Personally I would have been 100% with the anti-war Paleos a couple of years ago but I have since softened my attitude towards Israel, if not towards the US. I admire Steyn but he is an incredible cynic. I'd like to see him writing for the Telegraph again - not something I would have said when he was trunpeting the pro-US Black line. "I agree, but I was referring purely and specifically to attitudes towards the so-called "War on Terror"
Personally I agree 100% with Bill Lind that our strategy should be defensive, not offensive, and de-escalatory (like us in Northern Ireland) not escalatory (like the US in Vietnam). Escalation only works if you're prepared to go all the way, and either way a lot of people are killed. "Personally I would have been 100% with the anti-war Paleos a couple of years ago but I have since softened my attitude towards Israel, if not towards the US"
Personally I'm not a Zionist but I support Israel's right to exist, and I now realise that the Palestinians et al are determined to destroy Israel, which makes things quite simple there. I think the big problem the Israelis have is the same as the US neocons; they have fundamentally a far too optimistic view of human nature. They believe that most people fundamentally want peace (and freedom, democracy etc). But most Palestinians and most muslim Arabs don't want peace, they want to destroy Israel, so the Israelis operate under false premises. "That is a statement of stunning superficiality even by your standards Valedictoryan." Stunning simplicity, maybe. I'm not surprised that you don’t seem to understand my point. Oh I understand it all right. "Conservatives are seen to back Israel. Therefore, if you're not Conservative you back the other side" is rather like saying it rains because the ground gets wet. Furthermore, I have observed that when you personally refer to "Conservatives" you invariably mean "supporters of the British Conservative Party", so your argument becomes even more facile. To reiterate, the main reasons the left are now (it wasn't always so) badly disposed towards Israel are because it is a Western-style capitalist state, and because it is claimed to be guilty of "colonialism" and "human rights abuses"
These views, whatever we may think of them, are seriously and often fanatically held. The belief that leftists pose as enemies of Israel primarily in order to upset the Tories suggests a mindset of infantile bathos. No Mark. I said that people often define themselves by what they're not, rather than by what they are. We all know that Conservative polices were shown to get wider approval if they weren’t branded “Conservative”. I’m suggesting that our (you are Conservative?) support for Israel brands it a “right-wing” issue… so people who see themselves as moderate or left-wing instinctively back the other side. It’s a simple statement that doesn’t seem worthy of your reaction. Bad day? We are writing to inform you about a book related to what is happening now in the Middle East released by Olive Grove Books entitled THE PALESTINE CONSPIRACY. This book takes place in Beirut. Because the region of Palestine and the repercussions it holds for peace in the Middle East between the PLO and Israel are critically important, the issues discussed via this spy-thriller makes it interesting and informative so that people all over the world can understand exactly how both sides think and how that thinking has led to continual violence in the Middle East. If these issues had been understood and discussed 18 years ago, perhaps two wars in the Persian Gulf, the Sept. 11th catastrophe and this new Beirut War would not have happened. That aside, it is never too late for peace. With your consideration, we at Olive Grove Books hope you give THE PALESTINE CONSPIRACY its rightful place in history and on your web site and store book shelves. It is a book, which has come of age, and is so timely that it is a must read for everyone who wants to understand what is going on in the Middle East. MENTOR, Ohio – THE PALESTINE CONSPIRACY, a genre spy-thriller by Robert Spirko, was fourth on the best-seller list at Atlasbooks, Inc., a national book distributor. “It is time for the Israelis and Palestinians to return to the Camp David Peace Talks, resume where they left off and "freeze in place" the already-agreed-upon negotiating points,” Spirko says. “The Iraq Study Group should make this recommendation a top priority before trying to put-in-place a new strategy for Iraq – mainly because ramifications of a peace agreement between both sides will resonate deeply throughout the Muslim world in the way Jews and Muslims interact toward each other. It could have a profound ripple effect including how the United States is perceived by Islamists.” he emphasizes. “I have communicated that first step to the James Baker III and Lee Hamilton study group. It is important that both sides in the Middle East region are willing to come to their senses,” Spirko reiterates. He uses the following analogy for peace. “The Camp David accords have precedent and continuity through previous agreements. It's like a marriage where both spouses in an argument storm away mad. They don't divorce and then try to resume their relationship; rather, they come back together, settle their differences, and resume the marriage where they left off. It must be the same for the Middle East Peace talks." Spirko’s book predicted terrorism against the United States & Israel in his book which takes place in Lebanon. It is eerily similar to the Beirut War which took place last summer between Hezbollah and Israel. Spirko says if these issues had been understood and discussed 18 years ago, perhaps two wars in the Persian Gulf, the Sept. 11th catastrophe and the new Beirut War would not have happened. MEDINA, Ohio - When it comes to spy novels and Middle East intrigue, after 16 spell-binding years, the gripping story behind the Middle East quagmire - its issues of nuclear weapons and the quest for a Palestinian State - is finally being told in a ground-breaking new book entitled, THE PALESTINE CONSPIRACY. Author Robert Spirko created the work in such a way that every reader in the world will understand all the intricate issues in the Middle East and how close the region actually came to the brink of nuclear Armageddon. Mr. Spirko has a unique way of holding the reader in his grasp as the plot of THE PALESTINE CONSPIRACY unfolds. He literally takes you from your armchair and immerses you into the lifestyle of the Bedouin, the Israeli, the PLO and the mindset of the Middle-Easterner. THE PALESTINE CONSPIRACY is not just another spy-novel; it is the quintessential spy-thriller because it forces the reader to understand how both sides "think" and why that thinking ultimately led to repeated wars in the Middle East. Spirko, a financial and geo-political analyst, turned his attention to the Middle East in 1987, after discovering several common elements related to the Middle East question. In working for peace, and after several frustrating years, he put down his analysis in writing and when he was finished, he not only had a solution to the quagmire, he had a story to tell. Today, all that has changed, thanks to Olive Grove Publishers who decided to give his book a chance. When the Palestinian question came to a festering crisis in 1990, he had already predicted several of the actual events before they occurred. For instance, Spirko predicted the Intifada and Persian Gulf War, missing the actual invasion date of Kuwait by only one week. He did this through spectacular supposition, analysis and prediction based on what he was "seeing" in the region. When Spirko typed his manuscript, he set the work to fiction, about what he thought might occur soon in the Middle East involving weapons of mass destruction, nuclear proliferation, the Palestinian uprising before it occurred, and how the Palestinian question begged to be answered, little did he realize that every event he described in the book would eventually transpire. His story of what was really happening behind the scenes in the Middle East is truly astounding and remarkable, and his contribution to the Camp David Peace Talks in 2000, formulated a solution to the Jerusalem question. When the BBC got wind of it, they termed it "as nothing short of brilliant" - Jerusalem becoming the simultaneous capitals of both Israel and Palestine in congruous or concentric zones. Spirko originally copyrighted his book on October 20, 1987, in the U. S.
Library of Congress where intelligence agencies reviewed his work. Today, finally, somebody is listening. Spirko feels that both sides must return to the Camp David Peace Talks and resume where they left off and "freeze in place" the already-agreed-upon negotiating points. "It's like a marriage where both spouses storm away mad in an argument. They don't divorce and then try to resume their relationship, they come back together, settle their differences, and resume their marriage. It must be the same for the Middle East Peace talks," Spirko says. The story begins in Beirut, Lebanon, once a great financial capital of the Middle East, which lay in ruin, having been systematically blasted to rubble during 20 years of inexhaustible civil war and siege by Israel, the PLO, Hamas, Hezbollah and Lebanese factions. Soon, the quest for a Palestinian State would be framed by these events; namely, the invasion of Kuwait by a neighboring rogue state, Iraq, with Saddam Hussein's goal of seeking nuclear parity with Israel. In Mr. Spirko's story, Rick Waite, a forgotten UPI correspondent, and Adrienne Waters, a Pulitzer Prize journalist from the London Times, meet-up in Beirut with a PLO operative named Ahmed, who discovers a secret intelligence memo about a secret plan to destroy Israel. In the ensuing chase to find the answer to this secret communiqué and what it means, a deadly race against time begins as the unlikely trio tries to halt the launch of a secret weapon from a hidden PLO base camp in the Syrian Desert. U. S. and British intelligence operatives have their own agenda, and attempt to stop whatever is going on to save the entire region from a nuclear holocaust. Spirko weaves a tale of chilling duplicity and thrilling action, as the characters evade and devise a method to announce the discovery of nuclear-tipped ballistic missiles to the rest of the world - all while United Nations' delegates bicker endlessly. An executive at BookMasters, Inc., says, "The book is absolutely stunning in the manner in which Mr. Spirko, tells his tale. He is truly a master as an analyst, and it's totally unlike anything else we've ever read in a spy-thriller. It keeps you turning pages and won't let you quit - until the very end. And, what an ending it is! If you crave twisting plots, thrilling spy-action and intriguing characters, then this is the book for you." Spirko, whose own background includes a stint in the U. S. Air Force and has given his advice to the National Security Council in Washington, D. C., has a degree in journalism and knows first-hand about the newsroom and what it takes to be an intelligence field agent. His knowledge of the trade makes the story real, daunting, and strikingly similar to "The Year of Living Dangerously." "THE PALESTINE CONSPIRACY drips with reality," quips a book reviewer from Olive Grove Publishers. "If books were rated by Siskel & Roeper, it would be given a two-thumbs up." Not since, Casablanca, do characters as earthy as Rick Waite, or as beautifully mysterious as London Times reporter, Adrienne Waters, or as desperate as PLO operative, Ahmed, bring fresh characters to a story that will be remembered by readers for a long time. The novel is a mass market paperback produced by Olive Grove Publishers, and can be purchased at area bookstores through Ingram Book Group, New Leaf Distribution, and Baker and Taylor, priced at $14.99, ISBN 0-9752508-0-9. THE PALESTINE CONSPIRACY can also be ordered on the web at www.atlasbooks.com, or email orders from: [email protected], or from Barnes & Nobles, Border's, Dalton's, efollett.com & Follett bookstores at colleges and universities, WaldenBooks, Amazon.com, Walmart.com, Target.com and other popular retail bookstores. Or, readers and store managers can call 1-800-BOOKLOG, or 800-247-6553 direct, to order. For readers who want to know what was really going on in the Middle East prior to the Persian Gulf War, Sept. 11th, and Iraq War, THE PALESTINE CONSPIRACY, is a must read. WARREN, Ohio - When both sides walked away from the peace table at Camp David in 2000, Robert Spirko, author of THE PALESTINE CONSPIRACY warned negotiators Ehud Barak of Israel and Chairman Yasser Arafat that they would descend into the abyss of hell. "And, they did," Spirko says, "and, so have we." Spirko is a native of Warren and a former Tribune staff writer. That warning came after both sides had already agreed upon Jerusalem as the simultaneous capital of both Israel and Palestine, according to Spirko. "When both parties agreed on Jerusalem, an issue they both said they could never agree on, then left the peace table over reparations and the right of return, 8,000 lives were lost in the ensuing four years, including America's 9/11 catastrophe," Spirko reveals. "Chairman Arafat should have taken the deal. He had 90% of what he wanted. The Israelis offered to build upon that later if Arafat would stop the suicide bombers. Chairman Arafat would take the same deal today if it was offered, but it may be too late." He explains, "The failed talks were a catastrophe for both the Middle East, and the United States, and the only way out is to resurrect the peace talks at Camp David, freeze the already agreed upon points, and resume where both parties left off." Spirko has given his advice to the National Security Council in Washington, D. C. over the years, and is a 1965 graduate of the Kent State University School of Journalism. He studied for his MBA at Kent State University and currently analyzes geo-political trends as an investment advisor. He wrote the book as a spy-thriller detailing what and how the quest for a Palestinian State turned into an ongoing disaster predicting Iraq and Iran would seek to develop weapons of mass destruction. The yet-to-be-resolved "right of return" and reparations were ignored by both sides at the 2000 Camp David Peace Talks. Those issues could have been negotiated later. Ideas presented by Mr. Spirko at those peace talks included letting both sides have the right to name Jerusalem as each nation's capital, an idea that the BBC in Great Britain termed as "brilliant.". "The idea was to create simultaneous capitals for both countries-Palestine and Israel-with Jerusalem as the capital of each using congruous zones and a neutral governing district involving representatives from both sides with God as the central sovereign because they both believe in the same God, whether He is called Allah or Jehovah," Spirko reiterates. Spirko’s book takes place in Beirut, Lebanon. It details what he thought would occur in the Middle East before the actual events; namely, the Persian Gulf War, the Iraq War, the Intifada, and other events leading up to Sept. 11. His analysis, written as a novel in 1987 and copyrighted in the U.S. Library of Congress that year, warned that the Middle East was heading toward nuclear Armageddon if a rogue Arab state, Iraq or Iran, obtained nuclear weapons. For 17 years publishers refused to publish the book because they told Mr. Spirko that the events he described in his book "couldn't possibly happen." MEDINA, Ohio - "The Middle East is heading toward a new World War if Syria and Iran continue to aid and abet terrorism and try to develop nuclear weapons to threaten both Israel and the United States," says Robert Spirko, author of THE PALESTINE CONSPIRACY, a book which predicted both wars in the region. He says both Iran and Syria are treading on dangerous ground in their quest to continue the war in Palestine and in attempting to enrich uranium for use in an atomic bomb. Spirko, a financial and geo-political analyst, turned his attention to the Middle East in 1987, after discovering several common elements related to the Middle East question. He wrote down his analysis, and when he was finished, he not only had a solution to the quagmire, he had a story to tell. THE PALESTINE CONSPIRACY predicted many of the events that occurred three years later, even the firing of missiles which hit Israel. "The United States, Great Britain, France, Russia, and China will never allow them to obtain enough nuclear technology to construct weapons of mass destruction," says Spirko. Spirko, whose book foreshadowed the Persian Gulf War by three years, and the resultant Iraq War following the Sept. 11 attack, warned the consequences would be catastrophic for those Muslim nations who insist on continuing down that nuclear path. "The chief threat in the region I see right now is the threat to Saudi Arabia by Al Quaida. If Al Quaida were to overthrow the present royal family in Saudi Arabia, cutting off the oil supply to the western nations including Japan and China, it would bring down entire world economies. France and Germany would be begging us to go to war to retake those oil wells. It would be World War III," he emphasizes. If such a scenario were to occur, France and the European economies could collapse in a matter of weeks. "And, it's all related to the Palestinian-Israeli conflict which I said back in 1987 was the crux of my book. It always has been, and always will be until it's settled. That linkage is exactly what Osama Bin Laden stated in a taped message aired the weekend before the election in November of 2004. Whether you believe him or not is beside the point. That's what's he told us, and we'd better take that into account." "We are again on the threshold of peace in the Middle East. But, we're also on the threshold of World War III. We better get it right this time, " Spirko emphasizes. My reply to Valedictorian is; you should get out more. The world does not revolve around people's reactions to your (and mine -although I am currently semi-detached) party, although you would no doubt like to think that both you and it lie at the centre of the universe. I was talking about the Middle East in the pub with a number of acquaintences the other day. I was making a moderate defence of Israel, and I was in a minority of one. Others, including at least two Tory voters, were coming out with the standard tripe about Israels being the new Nazis etc. The public have been brainwashed and there's an element of cowardice creeping in too. It was shown most clearly by the Spaniards after the train bombings but we aren't immune to it either. Not once, however, was I told "We dislike Israel because the Tories like it". Valedictorian is reducing a major world problem to a matter of parochial party politics, and the sad fact is that his attitude has always been very common within the Conservative Party. It is probably that attitude which informs Cameron's current disreputable attempts to distance himself from Israel. Will Michael Gove overcome his ambitions and actually take a stand on the issue as opposed to telling us things we knew already? I doubt it somehow. We're all guilty of rationalising our instincts. When people told you to get out more, they didn't mean for you to become the pub bore. I'm glad to note somebody's at last standing up to this nonsense. Good for Michael Gove. My conclusion about the Left supporting Islamism (and this pathological problem is a job for psychiatrists!) is that they are just scared out of their wits to even stand up to them. That's why the hysterics when it comes to The War, the American administration, the neocons, name all the Leftist bogeys: they are blamed for provoking them. This apart from the time-line issues, problems with the Law of Cause and Effect and the wisdom of appeasing bullies.